SLAM is the Sustainable Living Academy Manitoba program offered at West Kildonan Collegiate in the Seven Oaks School Division, in Manitoba, Canada. In SLAM our goal is to learn and become leaders of a sustainable future in all aspects. This means environmentally and culturally. As students, we worked hard on our own individual assignments and even more so to contribute to group projects such as setting up a new composting system in the school, and putting together multiple presentations for school assemblies. 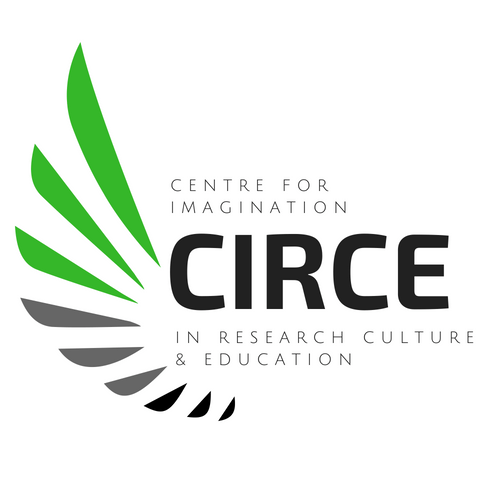 However, the most exciting part of this course was the internships and volunteering experiences we gained. Many of us got to volunteer in a variety of locations like, the Concordia hospital, at Forest Park school to teach young immigrant children English, and over the summer, at the school’s garden where we grew ancient Indigenous squash. This summer we were given some mysterious squash seeds. Our teachers, Mrs. Eckton and Mrs. Erickson, were gifted nine ancient seeds by the Aboriginal Community Campus in Winnipeg, under the condition that no seeds were to be sold for profit, but only gifted. We received a letter along with signatures from each student from the Aboriginal Community Campus, when given the seeds. In the letter, it asked that we don’t name the squash because naming something is a “western philosophy that shows ownership over something and the Menominee Nation has chosen to not name this squash”. That conflicts with their cultural belief that we cannot own what has been “created by nature”, and “that everything created by Earth should be shared in harmony with all of it’s creatures”. So, with the new seeds and a community garden at the school we thought that it would be great to grow a few right there. We were told that the ancient seeds came from an archaeological site on ancient First Nations grounds in the Menominee Nation of Wisconsin. The ancient squash seeds were supposedly found within a clay pot dating back at least 800 years. However, with further research, it turns out that this simply wasn’t the case. The seeds had been carefully grown for decades, from generation to generation by First Nation descendants in Miami Nation in Indiana. What we think happened to cause the change in stories, was that David Wrone, emeritus historian at the University of Wisconsin, received a few seeds from gardeners of the Miami Nation of Indiana. He then wrote to White Earth Seed Library about these seeds, but would also later write that he’d also received a different species of squash seeds found within a cave located in Kentucky. The seeds were referred to as “Gete Okosomin” by Winona LaDuke, which means “Big old squash”. David Wrone compared the seeds from Kentucky to the Gete Okosomin, saying that they were “smallish and not as tasty.” Over time the stories most-likely got mixed up and then turned into the modern myth of an ancient indigenous squash discovered at an archaeological site. Regardless, these giant squash still grow bright orange and up to 2 feet long. The species is now making a bigger comeback by obtaining more publicity as word of the new urban myth spreads. Another effect is the continuation of First Nation tradition, by sharing the gifts of squash seeds. Many tribes and communities such as White Earth Land Recovery Project, have been giving these seeds to local farmers, so that they can start to grow them for themselves. To preserve their purity, farmers are advised to grow these squash separately from other squash species, zucchinis, and cucumbers. 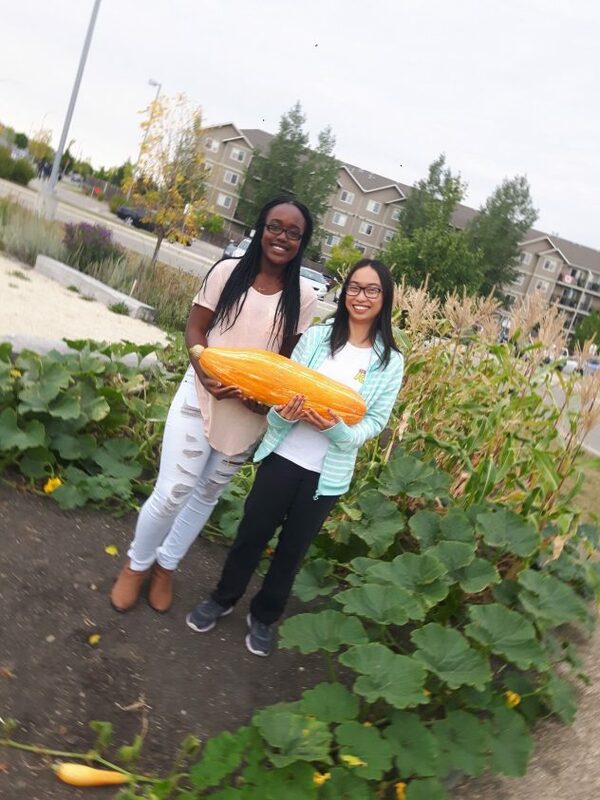 With respect to the Aboriginal Community Campus’ requests, we decided to grow the squash in the community garden at school and anyone who wanted to harvest the squash was allowed to. To start we asked for some guidance from Brian Etkin on how to first handle these seeds. He advised that we try to grow a few seeds first indoors to see which would germinate and which would not. We let the seeds soak in a beaker of distilled water for 24 hours before burying them in 1 inch of soil indoors. A total of five that germinated, and three were put in the community garden over the summer. The rest were taken home by our teachers. Two were planted in a raised bed, and one in the circle garden. The circle garden provided plenty of space for the squash to grow which turned out to be the best spot to plant it. It spread out along the beans and corn, and over the carrots, without disturbing them. 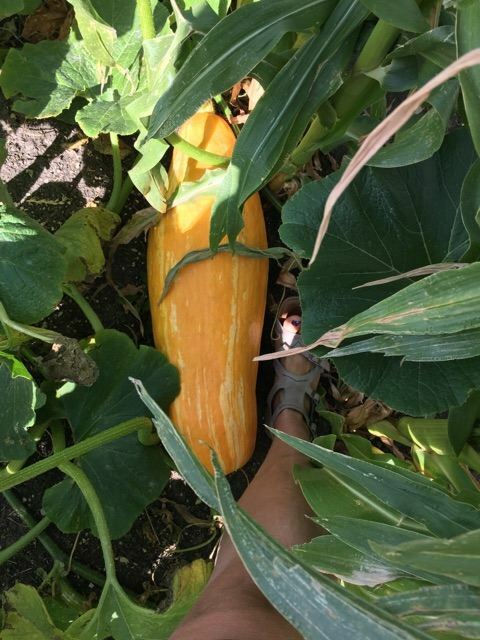 This plant yielded the biggest squash out of all three squash seeds we planted; 60 cm long, 19 cm wide and weighing 5.4 kg! Overall the squashes tasted mild and sweet, with possibly a hint of melon. It was just so exciting to see them grow over the summer. They had first started out as little squash seedlings, and soon spread new vines that kept growing all summer. 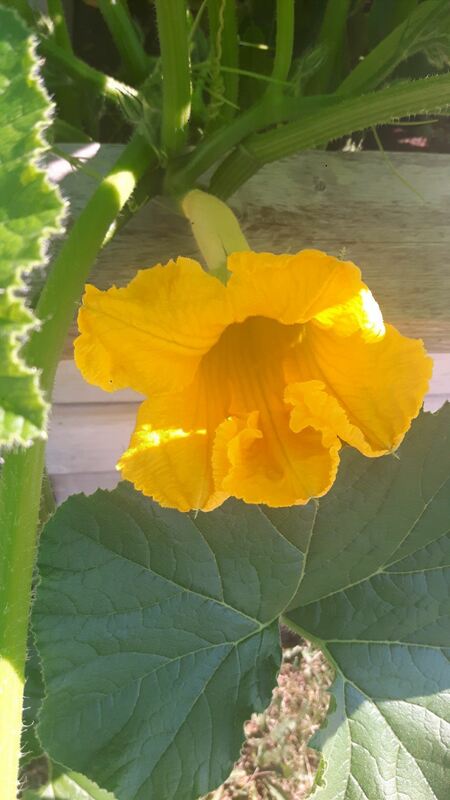 Big, pretty yellow flowers that were shaped like cups, grew even bigger squash. Dozens of seeds have been saved and we are now debating what we should do with them. We plan to give them to other communities, and maybe even plant them in the new Seven Oaks School Division Agriculture Learning Centre. One thing for sure, they will be growing again in our circle garden!